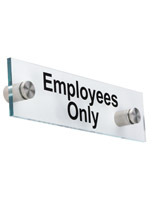 This acrylic stand-off mounted signage is made from clear plastic with green edging to duplicate the look of expensive custom tempered glass signs or nameplates. 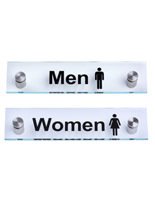 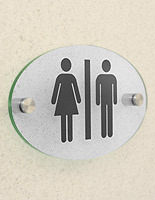 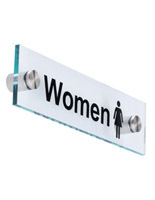 Each wall mounting door display measures 8" x 2" and features vinyl lettering and a universal icon to identify the Men's restroom. 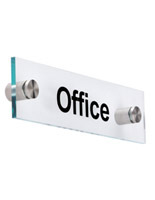 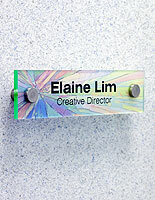 The 1" stand-off mounted signage comes with two silver through-grips that create a 3-dimensional wall or door display. 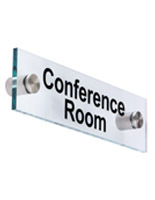 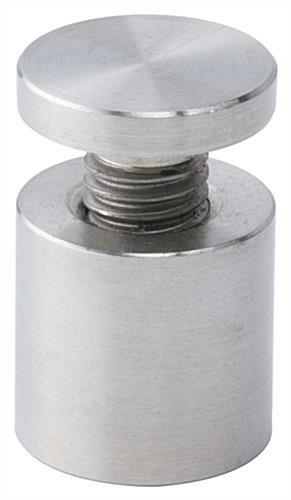 This economical accessory is perfect for any business and will match almost any decor. 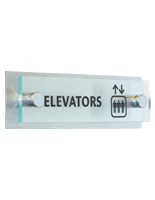 The pre-printed stand-off mounted signage will coordinate with existing custom or DIY nameplates, signs and room labels. 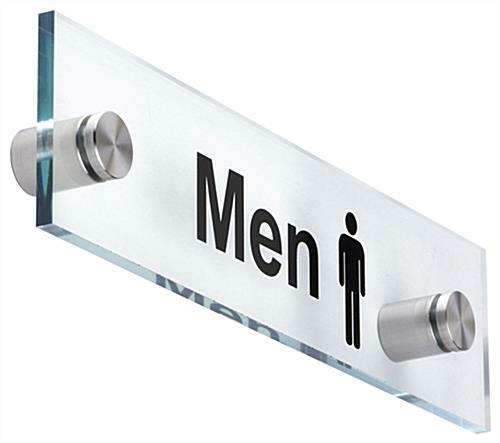 The wall mounting fixture is an elegant and stylish way to alert customers and employees to the location of the Men's restroom in either public or private business environments.